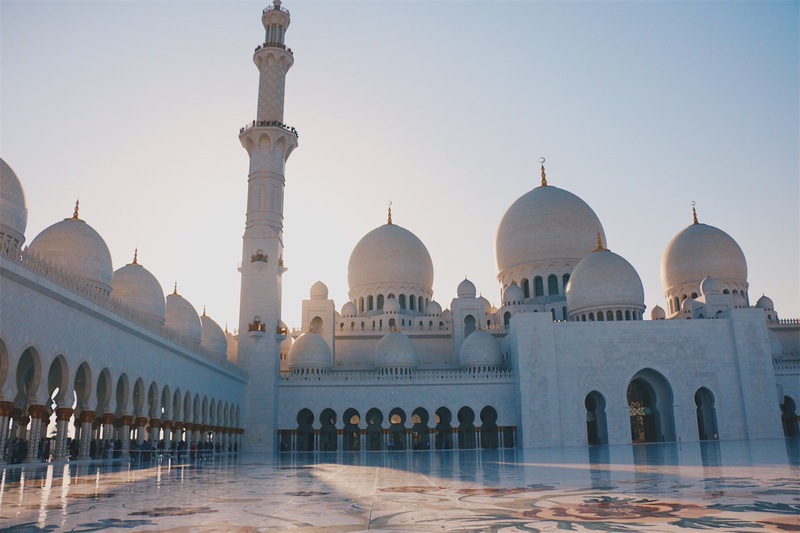 Abu Dhabi is a popular layover city and it’s easy to see why. The airport is located near to Yas Island and the city is home to one of the most beautiful buildings in Asia. It has a completely different feel to its neighbouring city of Dubai but still as many grand attractions. During our two day stay in Abu Dhabi we managed to cram a lot in, this was helped by having access to a car but taxis are super cheap in UAE so you’ll easily be able to get around if you don’t have a car. 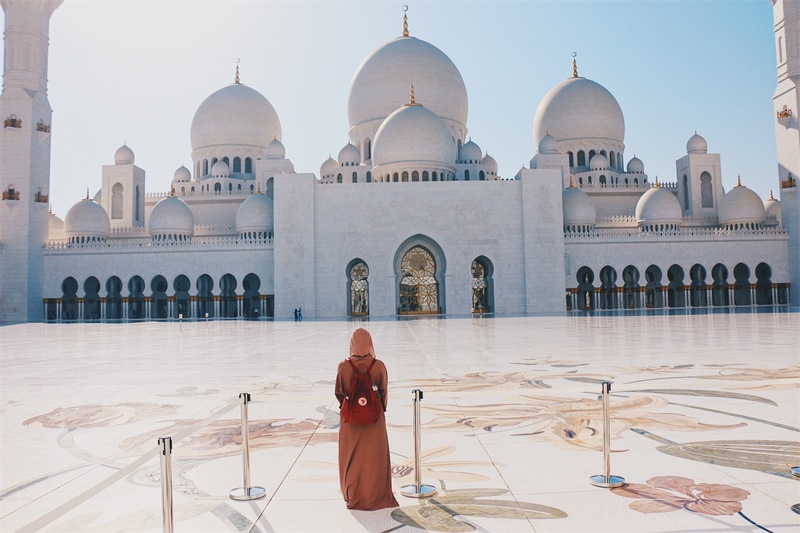 I’m going to suggest an order for your activities but you could honestly do them in any order except the Grand Mosque which is closed during the day on Friday as it is an active place of worship. 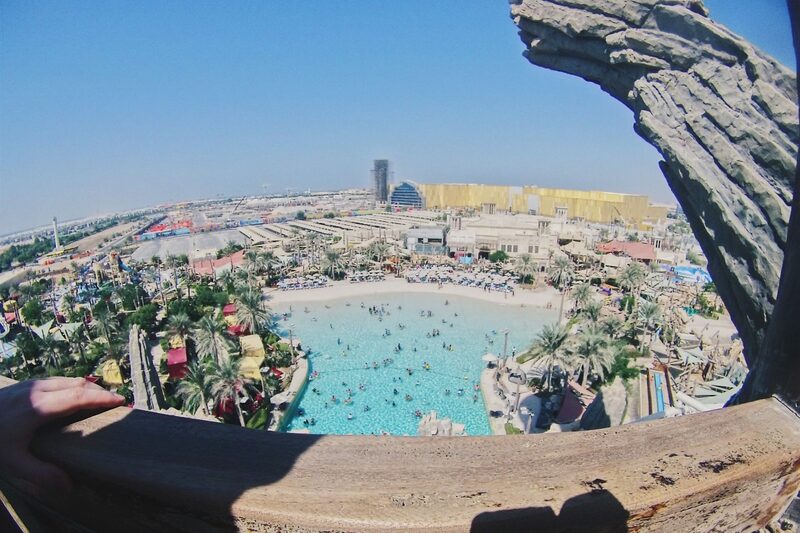 Head to Yas Water World for opening time to start your day. If you’re able to buy a joint ticket for here and Ferrari world in advance then do. Yas Water World is a massive water park with a huge variety of water rides and even a rollercoaster. You won’t have much time for sunbathing while your here as you’ll want to squeeze in as many slides as possible. The park has a simple layout and is easy to make your way around meaning you won’t be able to miss any rides. When we visited in late October there weren’t many queues on any rides and the park didn’t seem too busy (we did visit on a Friday). Once you’ve had your fill of water rides for the day it’s time to get changed and head to the next stop of the day. FYI, you can wear a bikini or swimming costume at the park although may feel more comfortable in a swimming costume or even shorts on top. 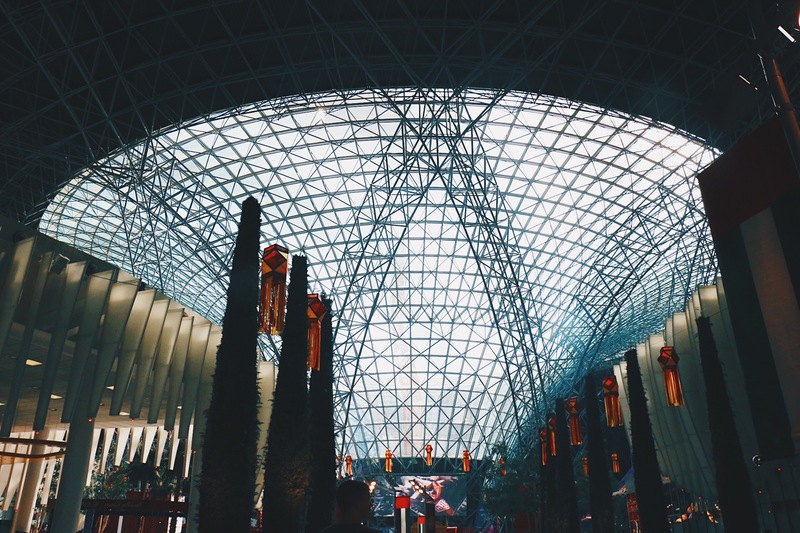 Next head for Yas Mall and Ferrari World, you have to walk through the mall to reach the entrance so why not use this time to grab a bite to eat. It will certainly be better and cheaper than anything you’ll pick up in the parks. Once you have a full belly it’s time to get a huge dose of adrenaline. 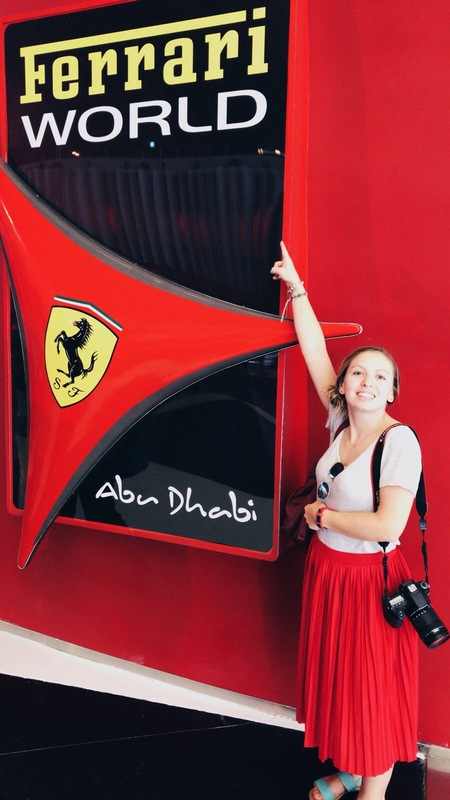 Ferrari World is home to the fastest rollercoaster and the rollercoaster with the biggest loop the loop so if you like theme parks this is certainly one to visit. If that’s not so much your thing they have plenty of smaller rides to enjoy, lots of car themed activities and plaques full of information. There are quite a few cafes with an Italian feel nestled within a modelled Italian town too. I found the park quite confusing to get around so allow some time to get lost finding the two important rollercoaster but otherwise you won’t need more than a few hours here. Before you leave head into the mall to experience just how grand and elaborate they are. You’ll find plenty of British, American and Australian brands here so you may want to do a little shopping yourself, however, prices won’t be cheap. Your next stop will mostly depend on your accommodation choice for the night but I would suggest staying on Yas Island near to the marina. 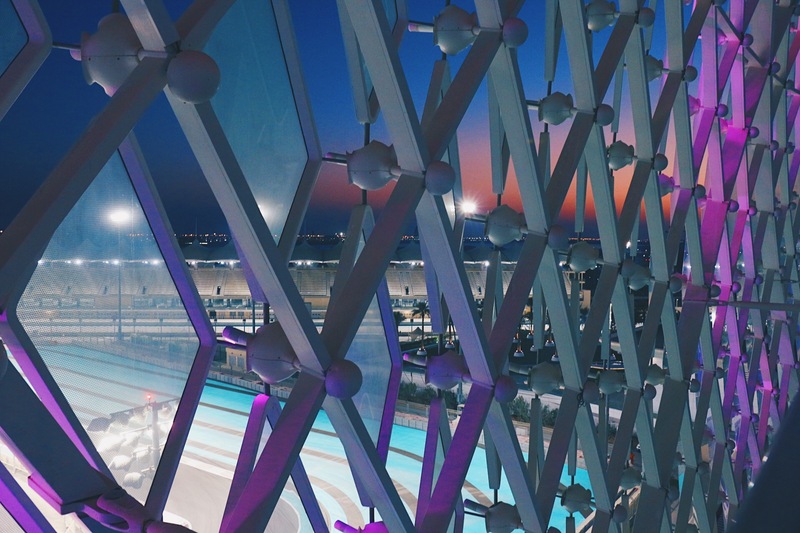 We opted to stay at the Yas Viceroy Hotel as a very special treat (it’s not budget friendly). It was a lot of fun being able to see the race track and experience the hotel that I have seen so many times on F1. If you don’t stay near Yas Marina then I’d take some time to explore here before heading off to your accommodation. The sunset from here was beautiful and you’ll get great views of the Yas Viceroy Hotel from the marina. Your first day in the city is almost done, all you need to do is check into your accommodation and enjoy dinner. We opted to dine in the hotel, it seemed there were more hotel restaurants than stand alone restaurants on Yas Island. If possible opt for a middle eastern menu so that you can enjoy some local cuisine. So far you’ve only really spent time in a very small part of Abu Dhabi so for day two it’s time to branch out. 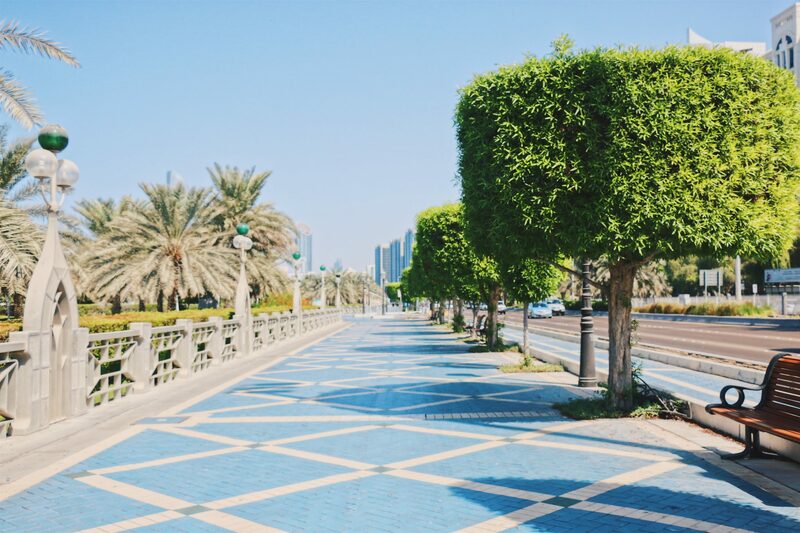 Your first stop of the day is the Abu Dhabi Corniche, the beach area of the city. It has a brilliant walk stretching the distance of the beach but I don’t suggest walking the whole thing except in the peak of winter (maybe). Choose an area to explore and park your car somewhere in the middle. There are plenty of car parks opposite the beach side. We based ourselves at the south west end of the beach. If you time it right for lunch I’d suggest the Nova Beach Cafe as they did some excellent food otherwise just stop for a drink and rest from the sun. You may even want to spend a bit of time enjoying the sun on the beach. Your second stop of the day is Abu Dhabi Louvre (something I missed because it opened the week after my visit). It is an incredible building inside and out, so much architectural thought has gone into the design. It is also a great place to escape the mid afternoon sun, except don’t try and visit on a Monday because it’s closed. The Louvre also seems to have a restaurant so if you didn’t get lunch earlier then you can get it here. The last stop of the day is to the Grand Mosque. Try and time it for sunset as this is the most beautiful time to visit. If you arrive an hour or so before this will give you time to look around inside and get the appropriate clothing needed before wanting to get in place for sunset. If you have time stay until it gets dark and the mosque is lit up. There is a small cafe onsite to help keep your liquid levels up and incase you need a snack. If you have some extra time before or after your visit I’d find a vantage point to grab a few snaps of the mosque as it looks as incredible from afar as it does up close. If you have some extra time in the city then there seems to be a wealth of restaurants on the creek just east of the Grand Mosque. Abu Dhabi is located an hour and 30 minutes from downtown Dubai so can easily be reached from there. Even a taxi between the cities won’t break the bank.